Hi guys! Happy 4th of July weekend! I don't know about you but I really dislike using heat tools on my hair. I especially don't like blow drying my hair. I don't know, for some reason every time, I blow dry my hair, it seems frizzier than usual. 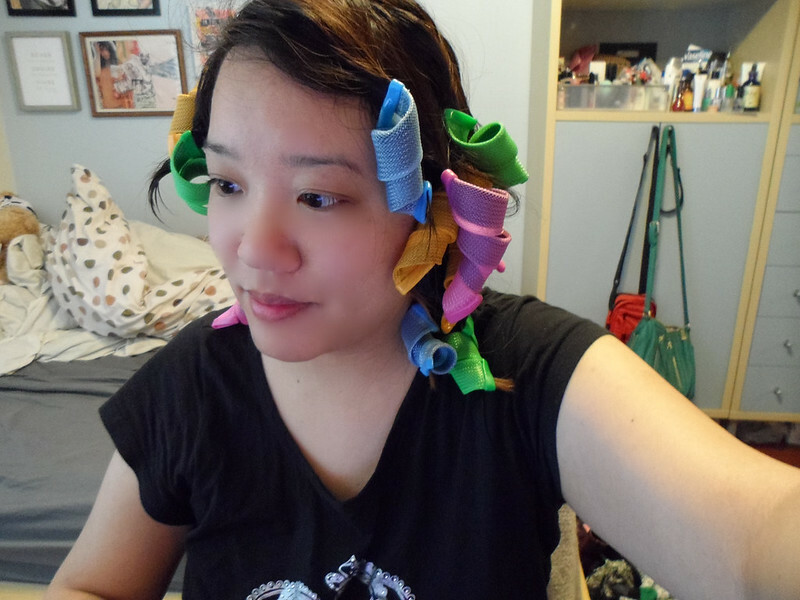 I was sent these really cool looking Magic Leverag no heat curlers. At first, I was a little confused, but after watching a couple of videos on youtube, it looks easy enough. Please do not watch Grav3yardgirl. She seems a little incompetent when it comes to using simple hair care products like this. 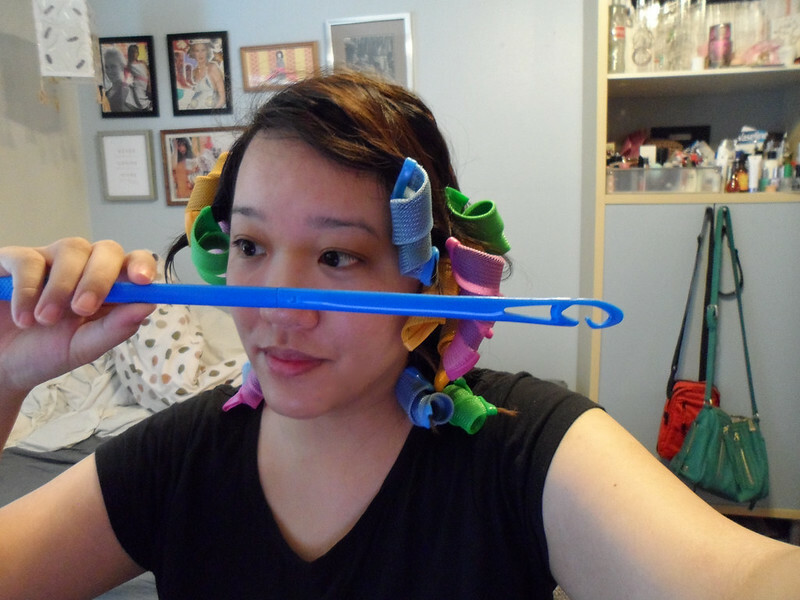 Anyway, so I got a hook, and an 18 pack of hair curlers. There are an uneven amount of orange/pink and blue/green. But that's okay, because if you're like me, you want that awesome messy beach wavy look (perfect for summer!). And the crazy part is that the hook is a 15 inch long stick that you have to hook the hair onto to. After you pull it through, you just leave your hair. I usually leave my hair for around 30 to 45 minutes. But it really depends on what the texture of your hair is. 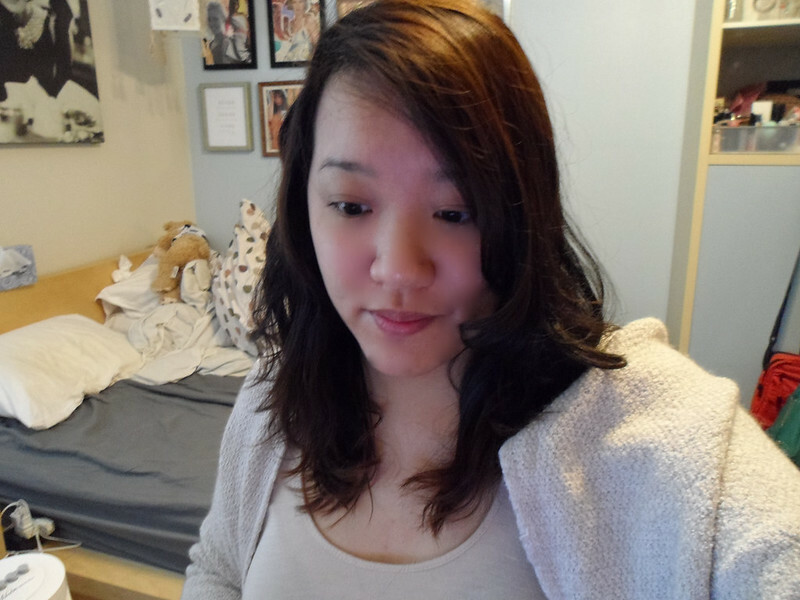 My hair is wavy, not coarse, and it's usually flat. I've heard of girls sleeping in these, but I didn't feel like it was that was necessary for me to sleep in these. For those of you who ask, I don't often brush my hair out during the day time. I will take a shower the night before, let my hair air dry, and then brush out my hair. For this, I had to brush out the right side of my hair because it was getting a little tangled. 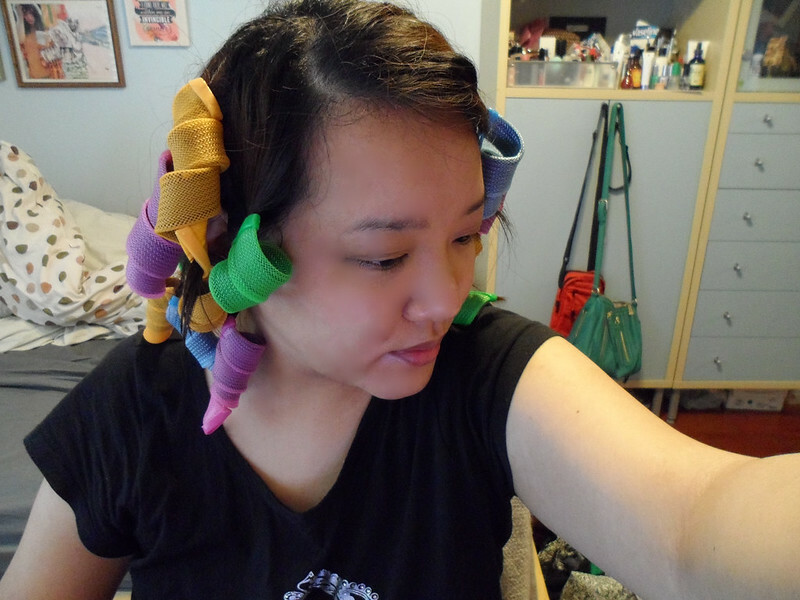 And if you get these, please don't forget to wet your hair a little bit before using these no heat curlers. I take a small hand towel, and put some water on it, and then I apply it to my hair to get that wet feeling. I would suggest you to have a spray bottle (couldn't find mine). You can't really tell, because my hair is so dark, but it looks like beach waves. 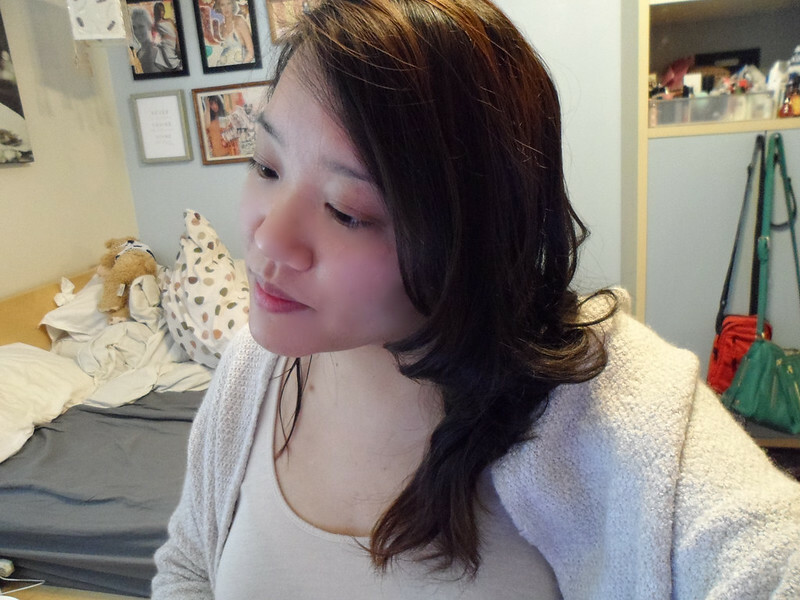 I usually just brush my fingers through my hair a couple of times, and put a little bit of hairspray into it, and voila, it's done!